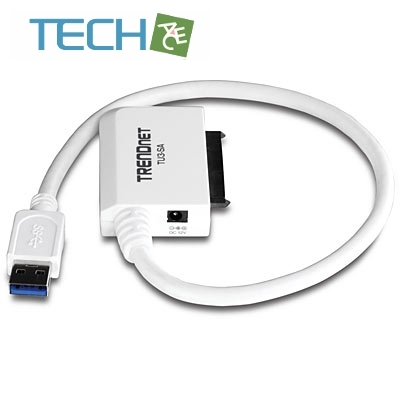 The USB 3.0 to SATA Adapter, model TU3-SA, quickly connects a Serial ATA I /II storage device to a 5Gbps USB 3.0 port on your Windows-based computer. Add storage capacity from a SATA or SATA II hard disk drive (2.5" or 3.5") or solid state drive (2.5" or 3.5"). 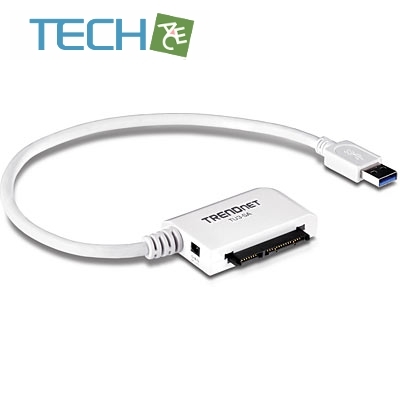 With no hassle installation, simply plug into any free USB 3.0 port on your Windows computer and drivers will automatically install. A power adapter provides full power to the connected storage device. 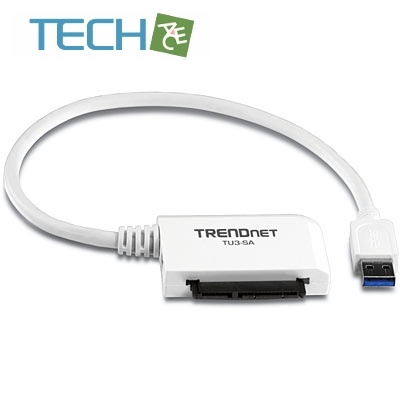 Backward compatibility allows users to connect the adapter to USB 2.0 ports. Experience the time savings of transferring data at 5Gbps, or 10 times faster than USB 2.0 speeds.